Few things tell a story like video, and in 2017, we produced more than half a dozen videos featuring river cruises in Europe. 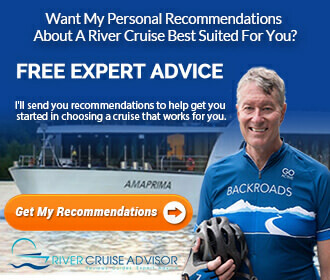 The intent of these river cruise videos was to capture the experience in order to help you make better informed decisions about your own river cruises. 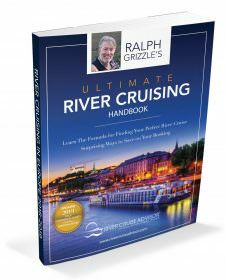 By showing you what it’s like to cruise the Douro, the Rhine, the Rhone, the Seine and more, hopefully you can decide which river you want to tackle next. The large window that opened in my stateroom to create a huge open-air balcony. I called it Europe in HD. Avalon Fresh, a new dining program that includes really good Vegetarian and Vegan options, as well as healthy breakfast items. I also came to appreciate Avalon’s so-called “Suite Ships.” Staterooms are large by industry standards. The top two decks have 200- and 300-square-foot suites with beds facing the sliding glass wall-to-wall and floor-to-ceiling windows. The lower deck has 172-square-foot staterooms with windows that don’t open and smaller bathrooms than in staterooms a deck above. To see the staterooms on Avalon, click on From Amsterdam To Paris On An Avalon Waterways. A Rhone river cruise serves up the very best of France. From gorgeous wine-producing countryside to storied cities to UNESCO World Heritage sites and well-preserved vestiges of Roman occupation, a river cruise along the Rhone mixes France’s heritage and history with the country’s ever-present charm and beauty. I cruised the Rhone with AmaWaterways in the spring of 2017. I particularly enjoyed AmaWaterways’ friendly service and refined ambience as well as its excursions. See Rhone River Excursions On AmaWaterways, and check out our two videos featuring the Rhone on AmaWaterways. The Normandy region is renown for its beauty, its palatable flavors, its gorgeous countryside and the D-Day Landing Beaches. Bookended by Paris, a cruise along the Seine speaks to the sublime pleasures of exploring a narrow ribbon of river that inspired a handful of French Impressionists and that continues to inspire Francophiles today. I cruised the Seine in August of 2017 on AmaWaterways. Check out our videos. Watch the recap of my September 2017 barge trip along France’s Petit-Seine & Yonne rivers on CroisiEurope’s Raymonde. The Douro is one of my favorite cruising regions. In November 2017, I cruised the Douro with Emerald Waterways. Check out the beautiful inspirational video below.